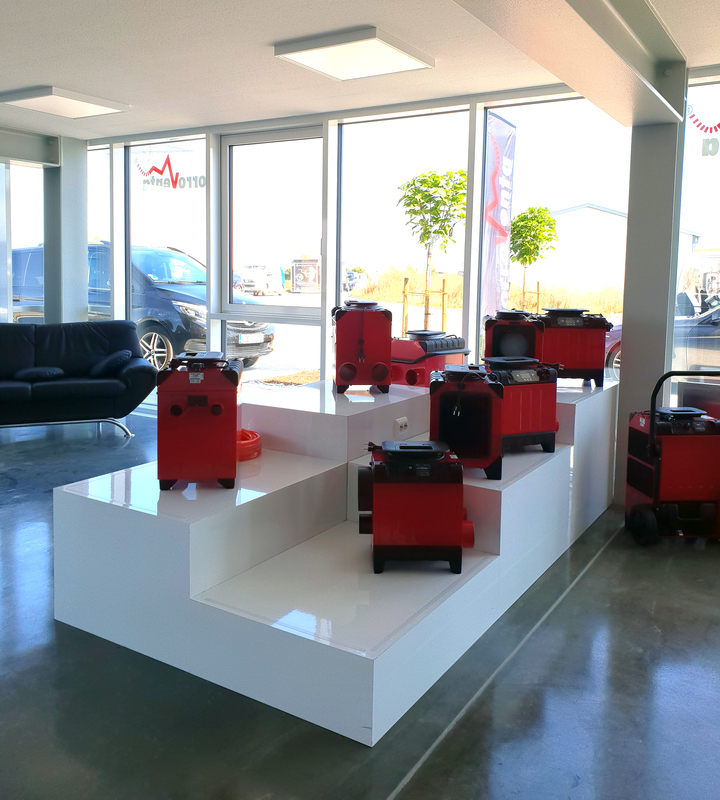 Corroventa has moved into new premises in Ulm, Germany. The launch took place on the 20th of September and was a successful event with customers and other partners. 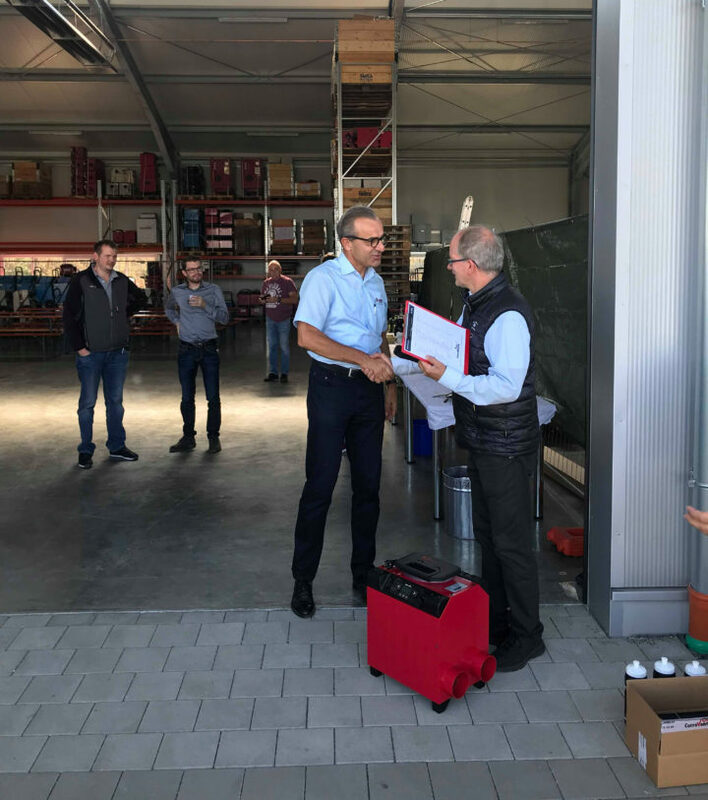 After the opening ceremony, the guests got to listen to a lecture about the future of drying by Richard Zinken, the country manager of Corroventa GmbH. Later in the day there was a workshop and social activities. ”The launch was very successful, we had about 70 people who visited us”, says Ralf Karaus who is responsible for Corroventa in Ulm. The venue is a new-build with a modern design and covers 600 m2. It includes offices, an exhibition area, warehouse, seminar classroom and test lab. 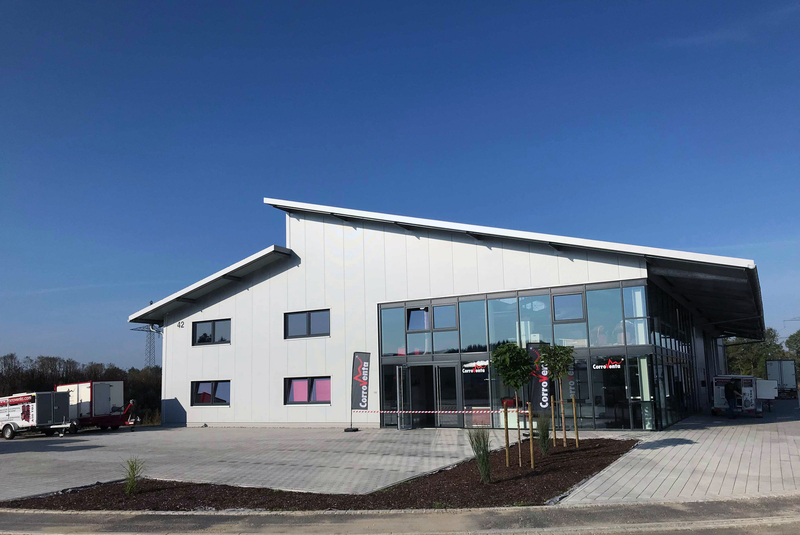 The new, larger premises are equipped to fit Corroventa’s operations with plenty of space to invite customers for seminars. 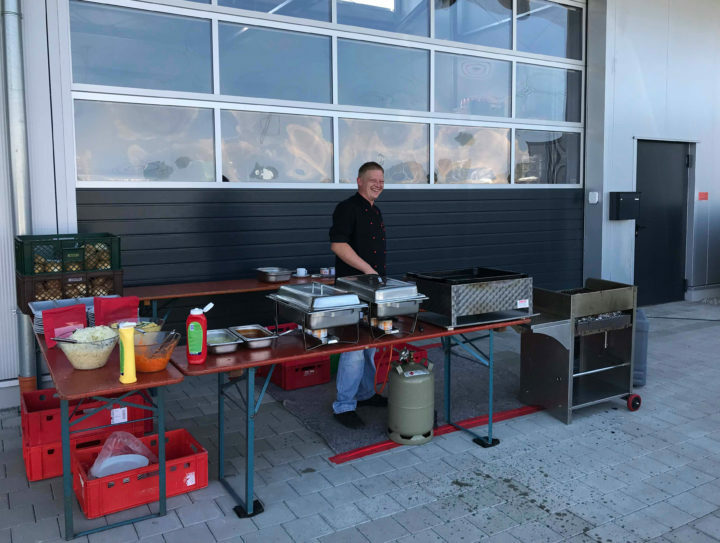 “The premises are located optimally for traffic connection direction Stuttgart and Munich since we are directly at the motorway A7 and at the motorway junction A8. It is also of course more attractive for employees, customers and seminar participants.”, Ralf Karaus concludes. Corrovent has offices in four cities in Germany; Ulm, Willich, Berlin and Bielefeld. 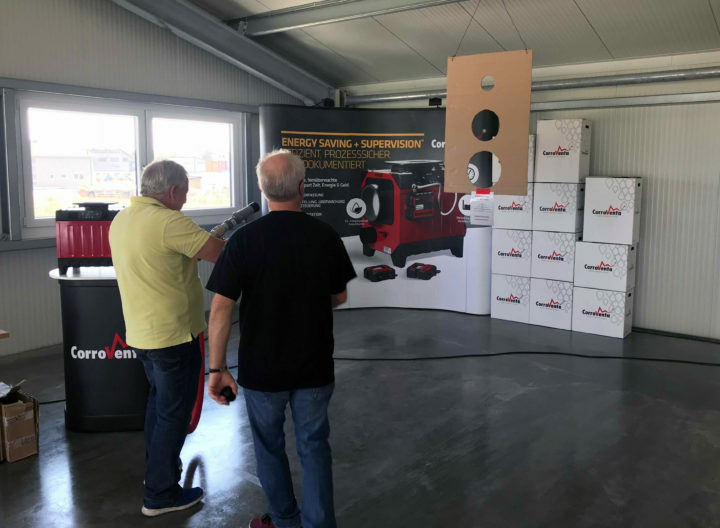 The customers got the chance to try cap shooting with a Corroventa turbine.